Gas Furnaces Aren't the Only Option for Heating | MarGo Plumbing Heating Cooling Inc.
Natural gas furnaces are one of the most common heating systems in our nation. Not only are they very effective heaters, but it’s just what people are used to—why install a different system if what they’re using already works? But that logic doesn’t mean you should ignore potentially better systems. “Better,” of course, meaning better for the needs of the individual. Each heating system has its own range of features that may prove to be more beneficial than that offered by a natural gas furnace. Some people just don’t want to use natural gas. That can be for safety concerns, an environmentally-conscious attitude, or simply due to limited access. Those people can still get the same style of heating, but they’ll need it in the form of an electric furnace. These furnaces are actually more efficient than gas furnaces, but the cost of electricity might make them more expensive to operate. If you want an easy and inexpensive installation, however, an electric furnace is the way to go. For all the rustic charm of a traditional fireplace, they’re terribly inefficient. Modern fireplaces, however, are several times better. 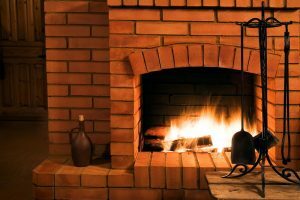 Whether you’re replacing an old fireplace or installing one brand new, you’ll have a choice between several kinds: gas, electric, pellet stove, wood burning… The important thing is that you have it installed by a professional to ensure that it is properly vented. Otherwise, this is an efficient and attractive means to heat your home. These are classic heating systems. Those who swear by boilers say that forced-air heaters, such as furnaces, just can’t compare. Part of the reason for that is because boilers provide hydronic heating. Rather than heating the air and blowing it around, these systems heat the room through radiators. The general opinion states that this form of heating is far more comfortable, on top of being quieter and providing more even heating throughout the rooms. “Radiant heating” is the scientific name for a method of heating. Likewise, a “radiant heating system” is one that uses radiant heating as its main means of heating a room. These systems consist of tubes or electrical cables installed behind the floor, walls, or ceilings. Depending on which fuel source is used, they’re heated either by hot water or electricity. The heat that radiates from them is used to heat the room. Although quiet and effective, these systems require an extensive installation process. Heat pumps are forced-air systems that have both heating and cooling functions. A traditional heat pump is installed just like a central air conditioner—one indoor unit, one outdoor unit, and ductwork. On the other hand, ductless heat pumps are also popular. These systems consist of multiple units—usually one for each room that you plan to heat or cool. If your aim is to use an electric heating system, the heat pump might be your best choice thanks to its unmatched efficiency. Need help finding the perfect heating system for your home? Contact MarGo Plumbing Heating Cooling Inc. today to request an estimate.